One of the main concerns for Lakewood residents in recent years, is traffic – but help some relief could come soon. In fact, in October, TLS asked readers what they thought about the idea of bringing bicycle rentals to Lakewood. Many readers weighed in, some suggesting the Township look into electric bikes and scooters – in an effort to alleviate traffic congestion around town. Representatives from the Lime company came down to Lakewood to display the various bikes and scooters. The idea is to have multiple stations around town where riders can pick up an electric bike or scooter, and drop it off at their destination, and return it when done. To unlock the vehicle, users can either log on to an app, or use a phone number or text message. The program, already in use in many cities around the United States, requires a fee, something BMG and officials are trying to work and keep down. 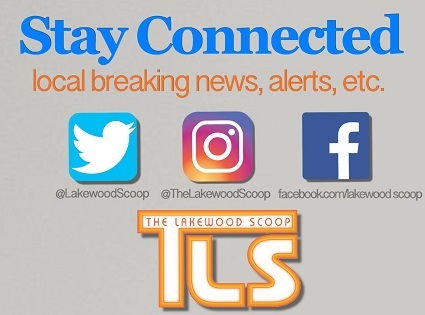 “I think it’s a great idea,” Mayor Ray Coles told The Lakewood Scoop. “Anything that can help reduce the number of cars on the street is a plus in my books,” he said. Being battery-powered, the vehicles would require battery changes. In fact, there’s a program you can sign up for which pays you to change batteries. The Mayor says the Township is working on a trial program, and if successful, bring it permanently to Lakewood. Should that happen, says Coles, the program could be extended to high school students, and would also held reduce the number of hitchhikers in Lakewood. Details about the program are being actively worked through, but the hopes is to have the trial program up and running by this Spring or Summer. 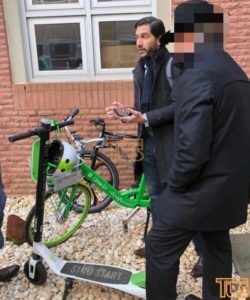 There are 26 Comments to "FIRST REPORT – PHOTOS: Electric bikes and scooters could soon be coming to Lakewood"
Just got back from LA where electric scooters and bikes are in full force. Excellent idea to bring it here! Another red herring from the township. The streets in Lakewood are overcrowded with no room for a bike lane. The few sidewalks we have should be reserved exclusively for pedestrians not electric scooters or bikes due to safety concerns. We need new cross roads to be built to alleviate the traffic. Stay focused on the real solution. 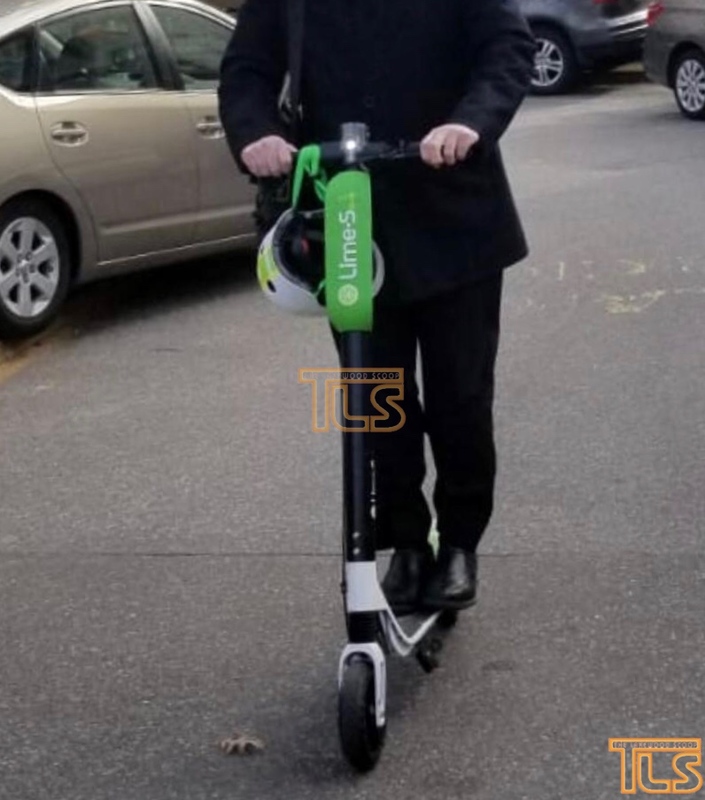 Does anyone know the law as far as where one can ride electric scooters? Do they have to be rode in streets? Can you ride them on sidewalks? Does it depend on the speed of the scooter? Not going to be pretty riding over all the potholes in this town. It won’t work. For most people it won’t pas. 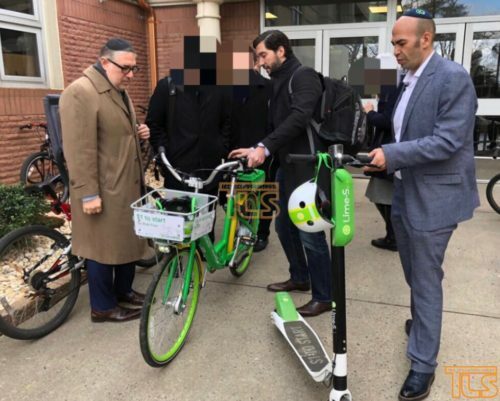 BNEI TORAH YAREI SHAMYAIM YEREIM USHLEIMIM SHOULD DRIVE SCOOTERS? WHAT IS THIS WORLD COMING TO UNHEARD OF. MESIVTA KIDS FINE NO BIG DEAL ? BUT YUNGLEIT? MY ROSH CHABURA ( A BIG MASMID LAMDAN WITH A CHASHUVE TZURA SHOULD DRIVE A TRENDY UP TO DATE YUPPY SCOOTER? WHERE ARE PEOPLES COMMON SENSE? Doesn’t come with a helmet????????????????????? Will be a disaster. #1, the scooters will be left anywhere and people will be tripping over them when walking. Just like drivers dont care about others enough to use blinkers- they will leave scooters anywhere they want. #2 in LA this works because the climate is supportive. With Lakewood weather they will only be used a few months per year. #3 most people wont use it. Read the article before you comment. It says you can use either use an app OR use a phone number or text. What we need is mass transit like shuttle busses. Bikes and Scooters dodging in and out of traffic, in and around pedestrians on the sidewalk, will only add to the obstacle course. I can only imagine what these will add to Route 9 or New Hampshire Ave at rush hour! Frightening! This sounds great, until you think about how it will work. Are they riding on streets or sidewalks? Do they understand that if you’re riding the bike, you must obey traffic laws? With people too distracted to stop for a woman pushing a stroller or red bus lights, will they even see the bright green bikes? Will riders be swerving in and out of traffic? 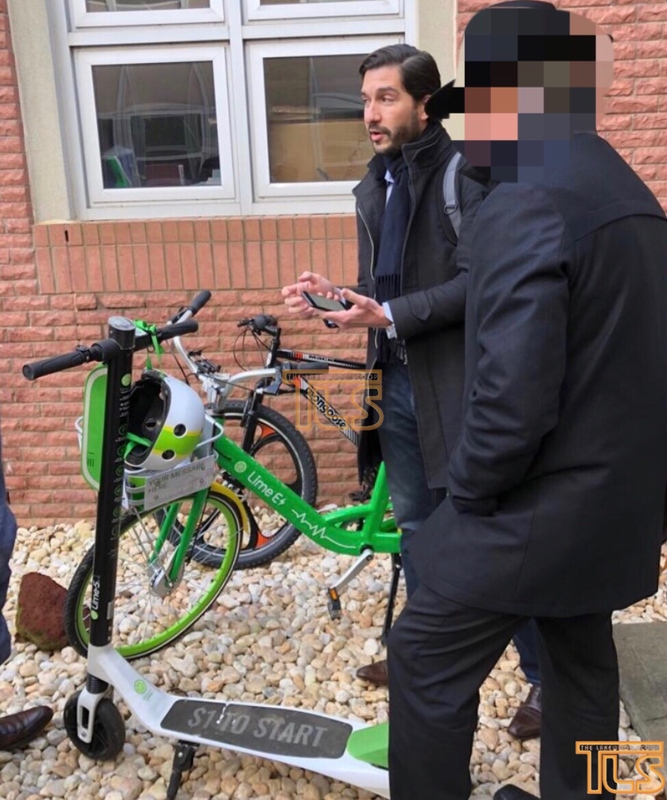 just curious #1 they are encouraging smart phones and #2 all the thousands of bais yaakov talmidos will wish to ride them for convenience and fun but if it is not accepted to ride bikes then this will forsure not be allowed. as much as i love the idea I dont think itll match with lakewood as a whole. I live in a town the size of Lkwd that incentivised bicycles as transportation. 15% of our intown workers now use bicycles to get to and from work. We also have Lime which works well for visitors and tourists. My community is very well planned with over 30 miles of bike lanes.I think it’s time for Lkwd to take baby steps when it comes to alternative transportation. There will be steep learning curves regarding bicycle safety and laws. 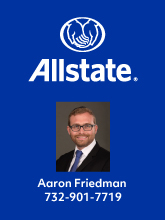 Let’s face it even the kids in school don’t receive annual bicycle safety courses, and it’s likely the yeshivas will refuse to alot time for this necessary training. I think we should ask Rav Chaim shlit’aand video tape it!